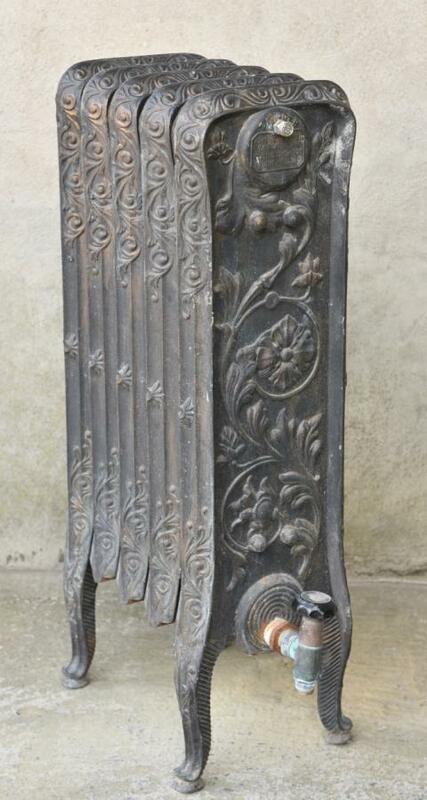 An exceptional antique cast iron floral radiator with cabriole legs. Named ZENITH and inscription to the end reads; John King Limited Ventilating and Heating Engineers Liverpool Possibly an American pattern or joint Anglo-American one. 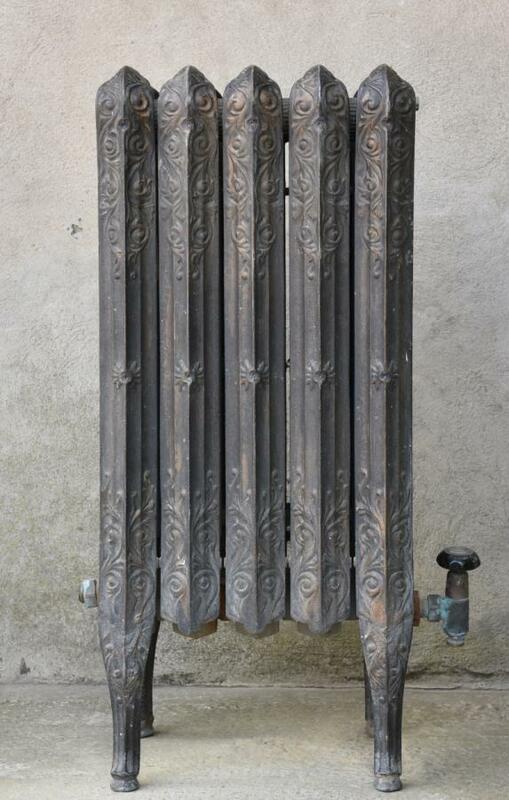 Can be supplied as is (pressure tested) or further polished or painted. Dimensions in inches(cms); 9(23) deep x 31(78.5) high x 13.5(35) wide. Please see blog ( via News tab on Haes website ) for larger/more pictures. A further two available.